From our office on Staten Island, the law firm of Angiuli & Gentile, LLP, conveniently offers a full range of legal services to individuals, families and business owners throughout Richmond County who face serious legal challenges. Led by the brilliant legal minds of attorneys Gary Angiuli and Annamarie Gulino Gentile, our law firm has become the trusted source for effective counsel and top-notch advocacy. For more than 30 years, we have protected the rights, entitlements and best interests of clients just like you while helping them secure a brighter future. When you work with us, you can rest assured we will use every tool at our disposal to help you achieve the positive results you seek, and we will always treat you and your family with the compassion and respect you deserve. Regardless of the legal need you have related to one of our practice areas, you can trust Angiuli & Gentile, LLP, for personalized assistance and effective support regarding your legal matter. For more information, you can contact our law office to schedule a free initial consultation with one of our dedicated attorneys. Angiuli & Gentile, LLP has extensive experience handling workers’ compensation claims for those clients who have suffered serious and debilitating workplace injuries, occupational illnesses or who been involved in major industrial accidents. 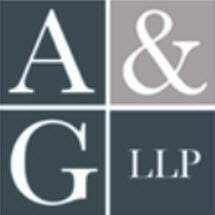 Angiuli & Gentile, LLP is an experienced Social Security Disability law firm. The firm's attorneys understand the claims process and how to press claims with the Social Security Administration. In business you simply cannot afford to live in the present. Rather, you always have to be thinking about what happens next week, next month, and even next year. This sentiment expresses the business law philosophy shared by Angiuli & Gentile. Angiuli & Gentile, LLP, under the supervision of partner, Annamarie G. Gentile, provides a full range of estate planning and probate services to individuals with estates of all sizes. Angiuli & Gentile, LLP takes great pride in helping clients secure compensation for medical care, pain and suffering, rehabilitation services and lost income, among other losses resulting from injuries sustained by the conduct of another.